The GeoTools process system is a great way to package up useful functionality for use in your application (or publish out via a “web processing service” such as GeoServer or 52N). When used with a Process Engine these individual processes can be chained together to make for interesting and useful scripts. This process data structure is a lot more capable than the Functions we added to the geotools filter system and is able to work on large quantities of data as needed. The general idea is similar in that you get to write some simple java code and package it up for the GeoTools library to use. This is the fastest way to create a process; and is great (as long as your process produces a single result). And then we can fill in the annotations to desribe our process, result and parameters. 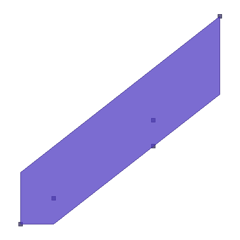 description = "Get the octagonal envelope of this Geometry." And then hook it up to Factory SPI (as was done for the Function tutorial). That is it octagnalEnvelope is now published. The Processors class can also list a Map<String,Parameter> allowing you to show a wizard for data entry (just like when connecting to a DataStore).